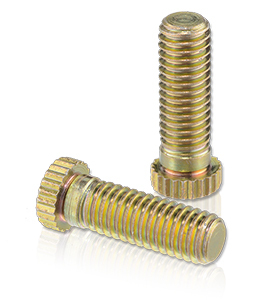 PTP now produces M63540/2 & 3 series of self-clinching studs! Studs are supplied in AISI 4130 alloy steel and CRES-303 materials. AISI 4130 – Finish is cadmium plate per AMS-QQ-P-416. CRES-303 – Finish is cleaned, descaled and passivated in accordance with ASTM A380. Call PTP today to get a quote on your next self-clinching stud requirement! Certified for both ISO9001 and AS9100 quality specifications. Quality Management System (QMS). Approved Laboratory Controlled Source (LCS) for Pratt & Whitney; GE approved vendor.